Harry S. Truman, 1884-1972. 33rd President of the United States, 1945-1953. Typed Letter Signed, Harry S. Truman, one page, 7¼" x 10½", on personal stationery, Kansas City, Missouri, July 13, 1956. Shortly after their daughter, Margaret, married Clifton Daniel, an assistant foreign news editor for the New York Times, former President and Mrs. Truman left on May 11, 1956, for an extended vacation in Europe. They were accompanied by Truman's former Chief of Protocol Stanley Woodward and his wife, Shirley, who owned a farm a few miles from Salzburg. It was the honeymoon that Harry and Bess themselves had never had. The ostensible reason for the trip was Truman's receipt of an honorary Doctor of Civil Laws degree at Oxford University on June 20, 1956. The Trumans crossed the Atlantic on the 990-foot luxury liner SS United States, disembarking at Le Havre, France, and spent the next seven weeks traveling by train through western Europe, seeing first hand the places of history that Truman loved so well and meeting with dignitaries such as Pope Pius XII and Winston S. Churchill. Everywhere they went, they were cheered by Americans and Europeans alike. They toured Paris, Rome, London, and places in between. We were driven to Mr. Woodward's farm, which is about eight miles from Salzburg at a little Austrian village, St. Jacob by name. The American Ambassador to Vienna, Mr. Thompson, and his beautiful wife came to tea at the Woodwards' and I discussed the Russian occupation and the evacuation of the occupying forces of the Allies with him. He is of the opinion that American-British forces made a vey favorable impression on the Austrians. His opinion was confirmed later in the evening by the Governor of Salzburg at a musicale and supper, given by him at the former palace of the Prince Archbishop of Salzburg. They came up to Mr. Woodward's beautiful place with a brass band and lined up, giving me and Mr. Woodward each a salute. Then Mr. Woodward and I and the commanding officer inspected the outfit and they marched back to St. Jacob for beer & skittles. We followed them to the village and were shown through the ancient church. . . . [The] organist for the Salzburg Cathedral . . . played Mozart's 9th Sonata (16th by new numbering) on the 250 year old organ. It was fantastic the way that old organ worked and most beautiful the way it sounded. The organist's wife had to pump the bellows, which she did by standing on the pump handle to bring it down. It was arranged for that purpose. . . . We then went down the street where the band was playing and the saluters and the villagers were drinking beer and eating cheese and hard rolls. When I sat down everyone there wanted an autograph and I must have signed at least 150 post cards. We had to leave before everybody obtained an autograph. At Salzburg, the Trumans toured Mozart's birthplace at Getriedegasse 9, where Truman recounted in his diary that a professor at the Salzburg music school "played the theme to my two favorite sonatas, the 9th & the 18th (old numbers). Then they let me try out the old Mozart instrument. I found that it was somewhat different from the modern piano but that it makes beautiful music." Truman loved Salzburg. “This Mozart town has certainly been a joy to me,” he wrote, “and it is hard to understand all the troubles & vicissitudes it has been through in times past." Llewellyn E. “Tommy" Thompson (1904-1972) was a career American diplomat who served at a critical time in history as the United States Ambassador to the Soviet Union under Presidents Dwight D. Eisenhower, John F. Kennedy, and Lyndon B. Johnson. Thompson joined the Foreign Service in 1928, and during his long and distinguished career he served as the United States Ambassador to Austria from 1955 to 1957, which spanned the Trumans' European visit. Eisenhower appointed him Ambassador to the Soviet Union in 1957, and Kennedy reappointed him in 1961. He resigned in 1962, but Johnson reappointed him in 1967, and he served until 1969. He also held the posts of Career Ambassador and Ambassador At Large. He was part of the Executive Committee to the National Security Council, or ExComm, which advised Kennedy during the Cuban Missile Crisis in 1962, and he was present at Johnson's summit with Soviet Premier Alexei Kosygin at Glassboro, New Jersey, in 1967. He came out of retirement to advise President Richard Nixon on the Strategic Arms Limitation Treaty (SALT) negotiations with the Soviet Union and represented the United States in the SALT talks from 1969 until he died in 1972. This letter is in fine condition. Truman has signed it boldly with a gray-black fountain pen signature.  The letter has two normal horizontal mailing folds; is lightly evenly toned, with darker diagonal tone spot at the upper right edge; and has slight wrinkle at upper left, top edge. 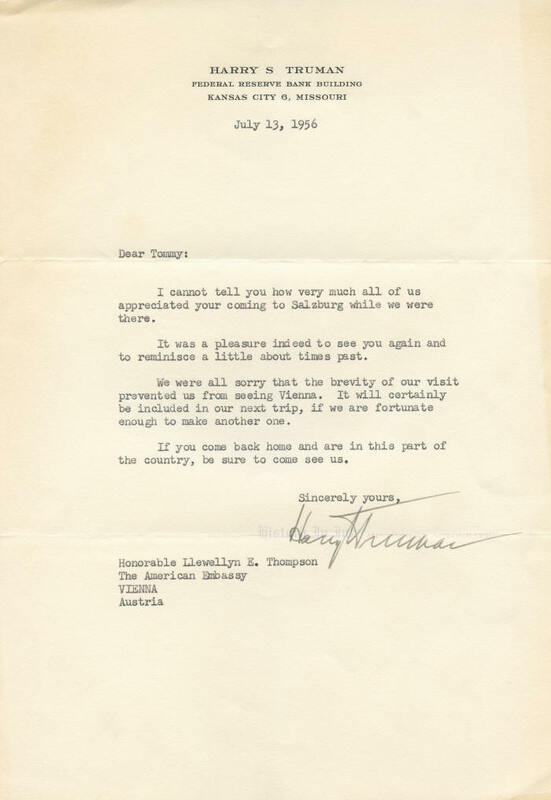 Provenance: This letter comes directly from Ambassador Thompson's estate. We are pleased to be able to offer it for the first time on the autograph market.